Nothing tastes better than fresh water from a glass drink bottle! 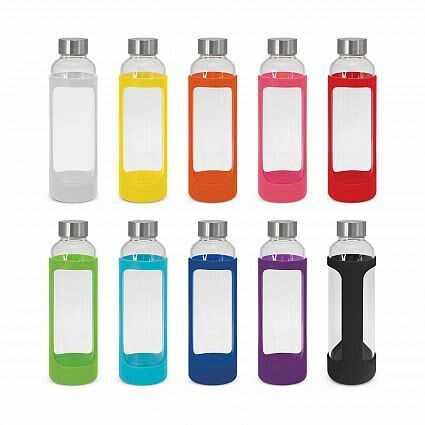 The Aphrodite Glass Drink Bottle – Silicone Sleeve is a superior borosilicate glass drink bottle that has a 600ml capacity. 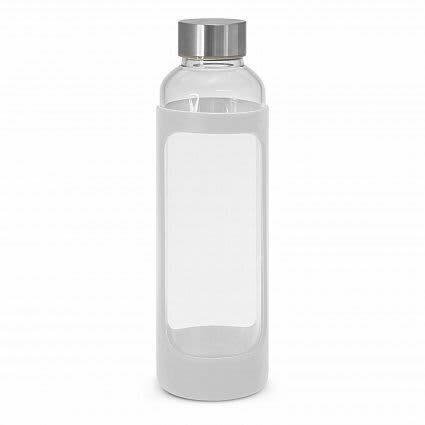 Borosilicate is a lightweight kind of glass that is extraordinarily strong and shatter resistant. The Aphrodite features a protective soft touch silicone sleeve in a great array of colours and a secure screw on stainless steel lid. 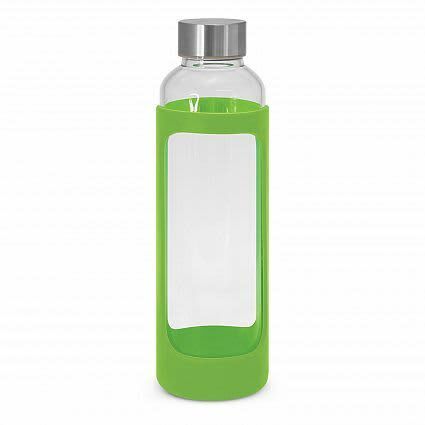 You may have the lid laser engraved, or opt for pad print, screen print, or imitation etch on the glass body to showcase your logo. 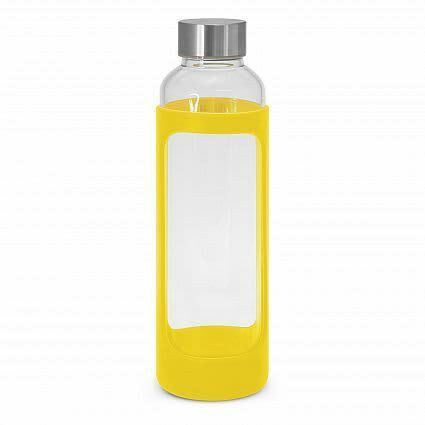 This glass drink bottle is not for use with carbonated or hot liquids. Handwashing is recommended for this product. White, Yellow, Orange, Pink, Red, Bright Green, Light Blue, Dark Blue, Purple, Black. Screen Print (additional cost): 120mm x 50mm (one colour print only).